One Friday afternoon, the 15th of August to be exact, after school, I made my way, at the speed limit only, to Hamilton, an hour's drive from my school. 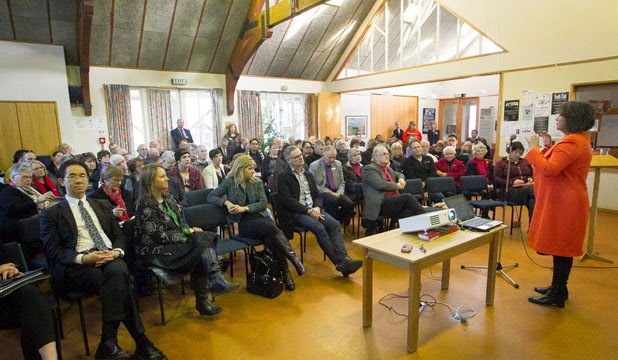 My destination was the Public Achievement Information meeting by held by Hekia Parata at the St Peter's Cathedral Hall. I only knew about this meeting due to a member of the NZEI National Executive telling a meeting I attended about it the previous Saturday. He then emailed me the details and my principal agreed that I could attend. I did arrive half an hour late. I had to complete the IES (Investing in Education Success) voting process for my school as I am the NZEI worksite representative. A valid reason to be late in my opinion. I was assured by my NZEI National Executive friend and another friend who is a Board of Trustees chair that I hadn't missed anything other than a lesson on reading the PAI statistics and graphs. PAI - that means Public Achievement Information - and I only found that out by googling "PAI meeting Hekia Parata" after the meeting because no one else knew what those letters stood for. So what is this Public Achievement Information? It is the National Standards data displayed for public consumption broken down by city and district council. The purpose of these public meetings is to present the 2013 New Zealand public achievement information. The wider context is not just the results but the "so what", the challenges we face and some insight into the Ministry’s response to those challenges. This set of results represent the New Zealand wide education system view, covering early childhood education participation and NCEA level two achievement (two of the Ministry’s Better Public Service targets), along with a wider set of indicators including National Standards, Ngā Whanaketanga Rumaki Māori and school leavers. We can put these in to a local context and enable you to use this data in your communities and schools. It is about supporting you in having the right discussions and making the right decisions in order to raise student achievement. The Minister of Education, Hon Hekia Parata will speak at the meetings. The Minister will be accompanied by Ministry Deputy Secretaries Lisa Rodgers and Katrina Casey. So I had arrived for question time. The woman asking the question when I sat down was first giving a comprehensive background to it. Her intelligent son, who wants to be a doctor, has a conduct disorder. It was effectively managed and controlled at primary school. The wheels got wobbly at Intermediate. The wheels fell off at High School where the child ended up being excluded during his Year 10 year. By the time of this meeting, he had been out of school for seven months and had only just been accepted for Correspondence School. In the meantime, this boy's personal worth had taken a dive and he had attempted to take his own life. 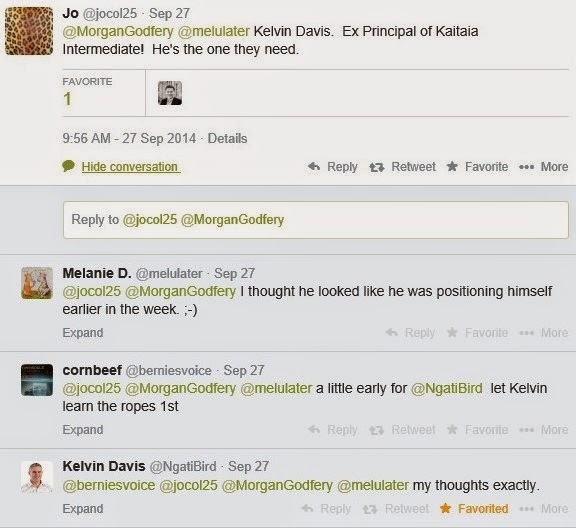 So the question asked was what is Hekia doing for kids who slip through the system due to behaviour issues? 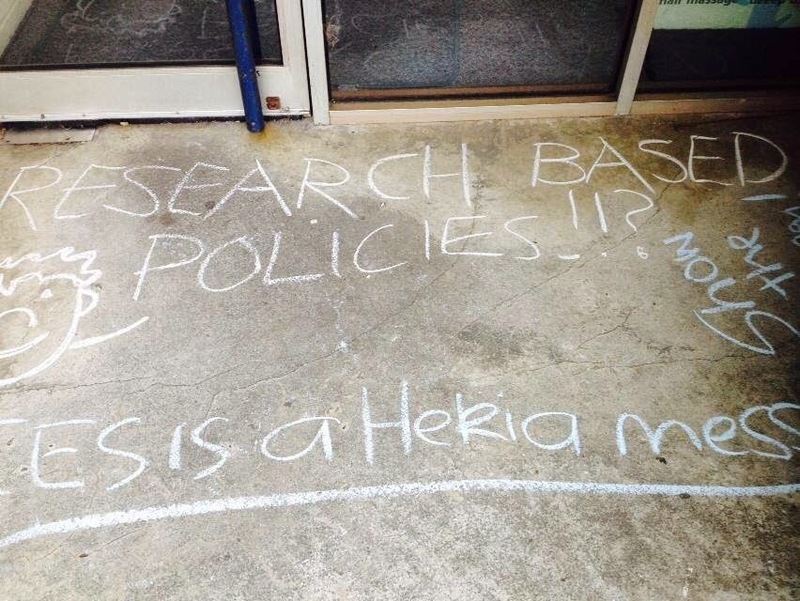 Hekia replied that it's not what she's doing personally, but what schools are doing. She said that quality teachers and good decision making by BOTs would solve this boy's issues. The room groaned. She then went on to describe PB4L and other work programmes focused on behaviour. 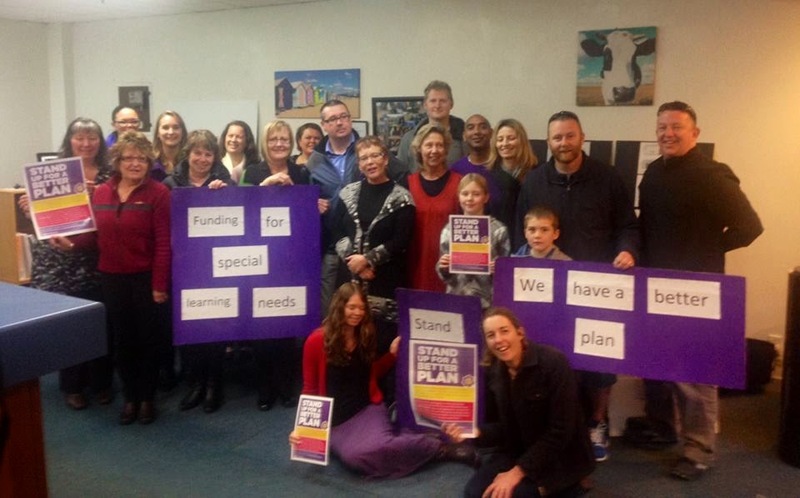 Hekia admitted that special education is under funded and needs work. She said a range of things were in place to help this boy. But cleatly it's not working, because then the parent said that despite ticking every box her kid was denied help. The MOE had admitted to this parent that hundreds of kids like her son missing out. Personally, I know at least three kids who fit this profile. If the MOE has no confidence in their own systems to support at risk learners with behaviour issues, then how can parents? The next question was about IES and how a community of schools selected will work. What are the typical pathways within a community? What is the baseline data? What are the needs in that community? These must be common challenges to work on together in addition to schools own goals. 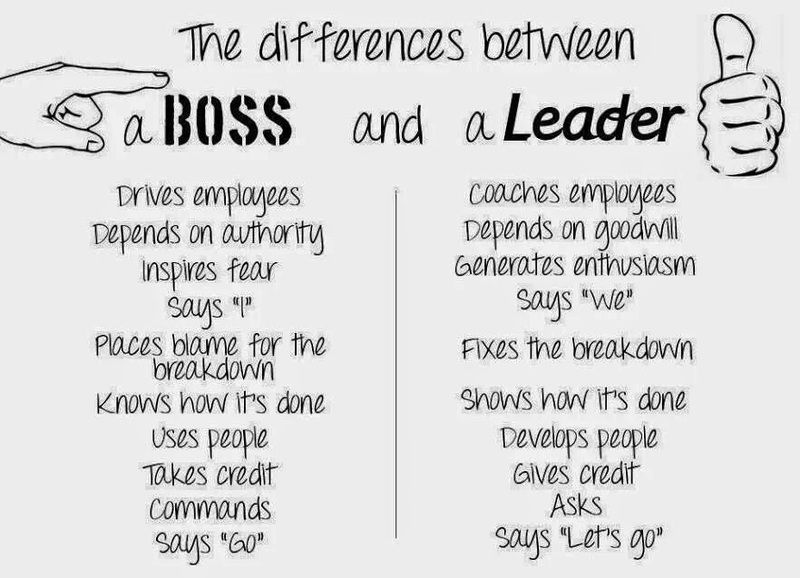 Then the executive principal, expert teacher and lead teacher (or whatever the new titles are) will work together to spread excellence and work on the needs identified. Hekia then went on to say that the Prime Minister announced it in January so it could be co-constructed with the profession. I choked a little on that comment. Hekia then said that the MOE had been in negotiations with the PPTA for month and that we would know where NZEI stood the following week. Since then PPTA have finished their negotiations and their members will vote on it in early term four, well after the general election. 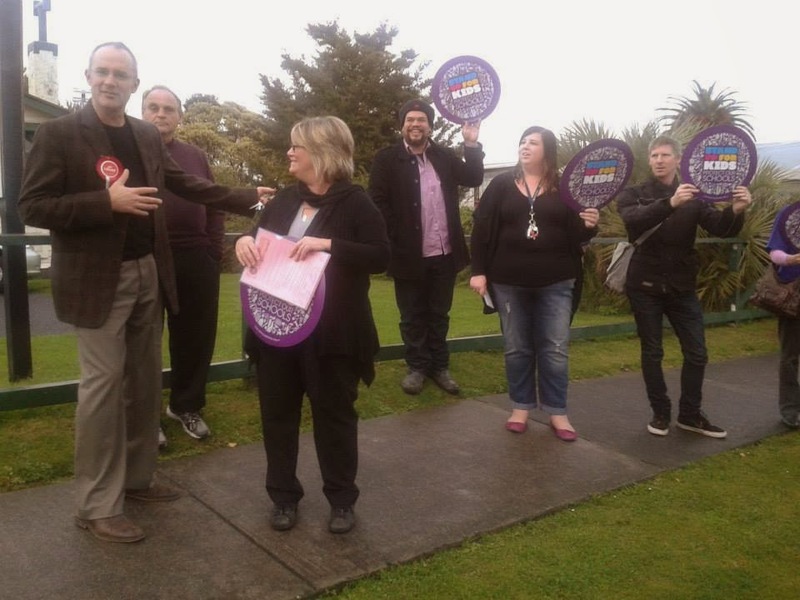 And 93% of the 70% of NZEI teacher members who participated thoroughly rejected the option to vary the Primary Teachers Collective Agrrement, and primary principals also rejected their collective agreement being varied as well. It is intended that the IES structure will be in place for term one 2015 if National is returned to government. A question was then asked by Terry Casey, the principal of Kaihere School, in regards to the union's (NZEI) message over the IES consultation that has happened. Hekia replied by talking about the minister's forum that has been in place during the last two years. She talked about it being a voluntary involvement. Then she explained that NZEI took itself out at the end of 2013, but NZEI still welcome and able to participate. Her tone of voice at this point was condescending despite the polite phrases used. Hekia then went on to explain about the delegation to Asia in October 2013. Judith Nowataski (the NZEI president) was invited to be part of the trip and took part in reporting back. Angela Roberts (PPTA president) and other education group representatives (STA, Spaanz, NZPF) also participated in the trip and reporting back. After that development of IES started (at this stage the only parties involved with the MOE and STA - not even the MOE's own research unit knew anything about it and were appalled to find out on the day of John Key's State of the Nation speech that this policy had been developed without the appropriate research to back it up). Then the IES announcement was made on the day of the State of the Nation (and every education group was blind sided). The work streams began in February and NZEI has been on all work streams as they want. Hekia explained that as things are resolved in the work streams, it is made public. 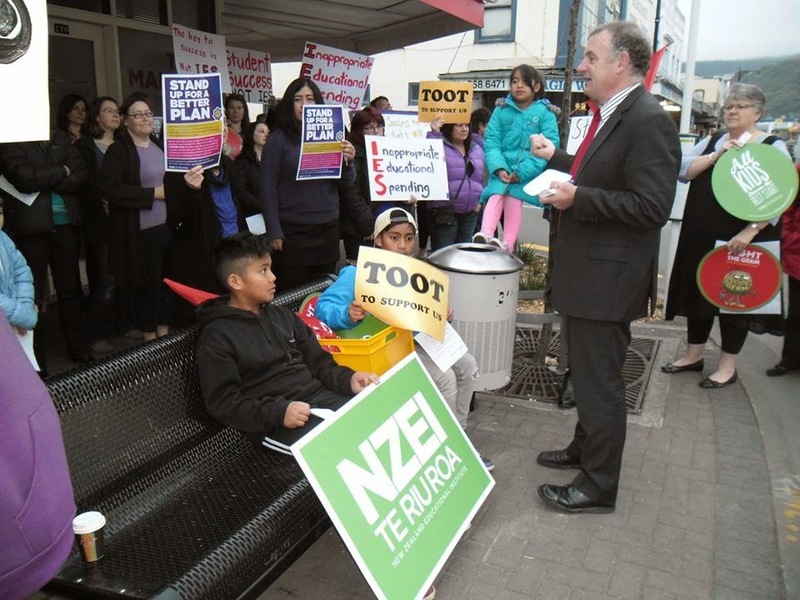 During this little explanation of how it all worked, Hekia's distain for NZEI was palpable. While she made pretty phrases about NZEI, the condescension dripped. The Minister's Forum was established after the class size debacle. 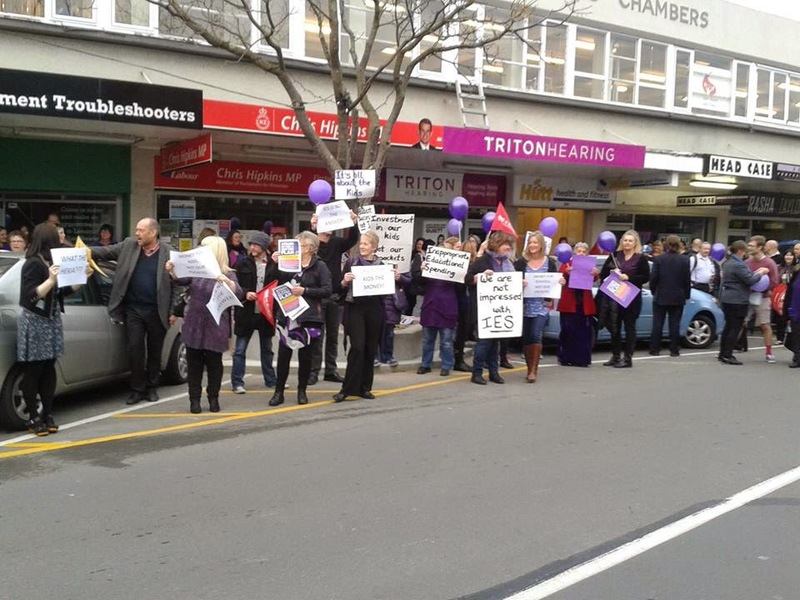 NZEI participated, but it became apparent during 2013 that it's voice was being drown out due to the process. All recommendations to the Minister were made by majority consensus. Often NZEI had a contrary view to the final recommendation due to it not being a good fit in the primary or ECE sector or contrary to the collective agreements of the members. As a result, after consulting the membership, NZEI made the decision to withdraw from the Minister's Forum in December. Prior to the withdrawal the IES proposal was never discussed in the Forum. NZEI did participate in the work streams and consultation on IES from February 2014. But again it found that the process for recommendations being forwarded to the Minister was by majority consensus. Again, NZEI found that its contrary view was drowned out, and that to stay within the process was to condone recommendations that they did not support. 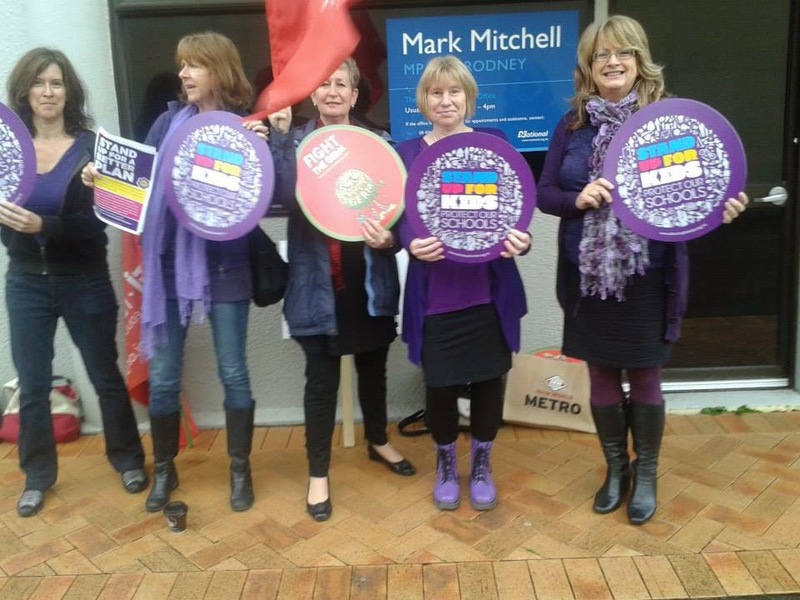 That is why when the MOE finally presented its claim to vary the collective agreements of primary teachers and principals, NZEI went back to the membership to get a mandate before opening negotiations with the MOE. 70% of the primary teaching and principal members responded by the due date, and 93% of those members refused to begin the negotiations and supported an alternative way to spend the $359 million allocated for IES directly on students. As Hekia spoke, I looked over to my friend from the NZEI executive. He was exceeding the National Standard on Self Management. I know it grated him to hear Hekia defame the decisions of the NZEI executive and the membership, and that is why I am writing this part of the blog about the meeting to clarify the position NZEI found itself in. A grandparent stood to speak and commended the minister for her good work with Maori & Pacifica achievement. Obviously blue party faithful. A parent stood to speak about student engagement and presence in school. They wanted to know why teachers and management are still sending kids out of class, and even home from school, for uniform issues? Hekia stated that BOTs are responsible for issues such as the setting of uniform standards and the rules around it. 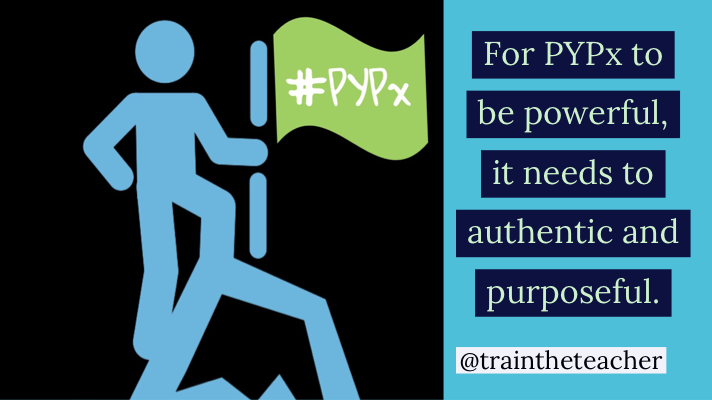 Parents and communities need to have their own discussion with BOTs about the standards and rules of uniforms. But if the stand down process isn't being done properly go to the school and talk to the principal, then if you are still not satisfied talk to the BOT. If you feel a satisfactory resolution is not met, then you contact the MOE for help. If you are still not satisfied, then you contact the Minister, then ombudsman. Hekia then went on to say that stand downs and exclusions are at a 20 year low. Finally there was a question about that old chestnut, Novopay. Where are costs at now and where are we up to now? Hekia said Novopay was clearly a dog. She then explained that the government was now establishing a crown owned enterprise and Talent2 had been negotiated out. The education payroll is the most difficult payroll in the country with numerous changes each fortnight. She said to solve this problem it would be ideal to simplify collective agreements without losing conditions or allowances. Good luck with figuring out how to do that. Shane Ngatai from Rhode Street School then asked a question regarding deciles and changing of the Education Act. Hekia explained that the current Education Act is 25 years old with amendment after amendment. The Act needs simplifying, modifying and currently doesn't really mention students. She explained that deciles divide schools into ten categories according to socio-economic data and was well intended but a blunt instrument. She believes funding has to be about the need of the children, and not a proxy for quality. Hekia said that according to PISA data, decile 1 schools are producing quality achievement just like decile 10 schools. The Minister then went on to say that she loves the job of being Minister of Education (obviously a response to the outgoing Minister of Health, Tony Ryall's, valedictory speech in Parliament a few days before). She said being the Minister of Education was the best job in world. She then said her own education was in decile 1 & 4 schools (funny thing is though is that decile funding was not invented until the 1990s by the then National government and all Hekia's formal primary and secondary schooling would have been in the '60s and '70s, so that really doesn't fly Minister). The next question: Who would IES roles report to? They will report to their own BOTs. These roles will not be hierarchical, but horizontal according to the Minister (ahem... how?). Hekia called it a new way of leading and the focus of these leaders will be coming in to lead the delivery of the achievement focuses. She then went on to claims some elements of the IES model come from Finland (which ones are those Minister, because it looks nothing like the Finland model) as well as Asia. A parent then stood up saying special education system was under funded and asked what the Minister would do about it. And then it was the end of the meeting. This is a link to the news article published on Stuff about the meeting: Deciles 'proxy for quality': Minister. Labour, the other Saturday, plunged to its lowest place in the polls in its nearly 100 year history. Some polls had warned that Labour was slipping in the polls in the weeks leading up to the election, but internal polling had indicated higher numbers, and the door knocking and phone calling had also indicated positive responses to people supporting and voting Labour. 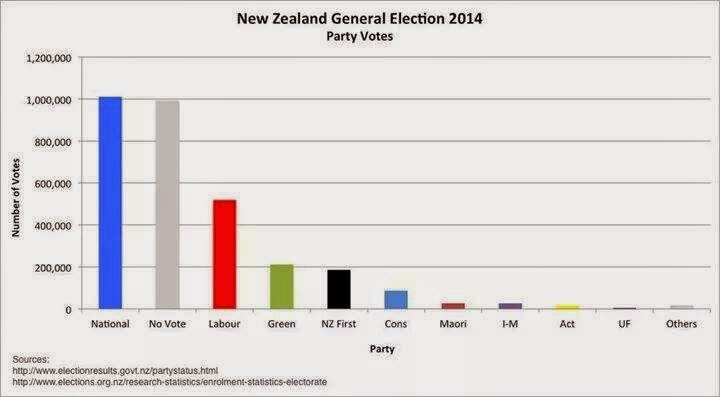 Combined with National slipping bit by bit in the polls following the Dirty Politics book release and Judith Collins' inappropriate behaviour being fully exposed, how buoyant the Greens had been in the polls and the fact that New Zealand First's policies and people seemed to lean more towards the left than the right, I was confident that the election would be on a knife edge. I honestly thought a clear winning team would not be evident on the night. Oh how wrong I was, and many others. With National winning 41 electorate seats and 48% of the party vote to get an extra 20 List MPs, it meant they had 61 MPs out of 120. John Key also moved in the next few days to make doubly sure he had the House in his grasp by opening discussions with his "friends" from the last six years: the Mäori Party, United Future and ACT (who shouldn't be there - but that is another discussion). Meanwhile, predictably, Labour was tearing itself apart. Just like in November 2011, the leader was blamed. David Cunliffe was vilified for his speech at the end of election night (the one where he celebrated the work of all the party volunteers and supporters - and right that he did, because we worked bloody hard) and his lack of resignation on the spot. As someone pointed out on Twitter recently, did Helen Clark's election night resignation set the benchmark for the losing leader? Then there was the various Labour MPs speaking to the media about why they thought Labour had gone down in the polls and what they think should happen next. Followed by the 7.5 hour horror caucus meeting on Tuesday and the angst and hair pulling since then, the membership of Labour became even more concerned and, just like within the caucus, people have started aligning themselves with their preferred leader, including several Facebook pages that support David Cunliffe in continuing his leadership of Labour. And then there were the bloggers, journalists and media commentators who weighed in with accurate comments and the crazy off the mark comments too. On Saturday, David Cunliffe resigned his leadership, taking responsibility for the election loss, and then nominated himself for the leadership vote. Grant Robertson also put his name back into the hat. David Shearer had indicated that early last week that he was considering a bid, but as he has been in New York at the UN with Murray McCully the last few days, this has yet to materialise at the time of writing this blog. Other names that have been thrown about include Kelvin Davis (who ruled himself out - including to me in a tweet), Jacinda Ardern and Andrew Little (who are playing that coolly, particularly as Little has to wait for the confirmed election results on October 4th to know he really is the 5th list MP for Labour) and, strangely, Stuart Nash (who, while he has run a great campaign to win Napier back, was helped by the fact that Garth McVicar split the vote on the right when he ran for the Conservatives and a new National candidate). I had been wondering Sue's point of view since Tuesday's caucus meeting where she resigned as Chief Whip (which she explained in another post she had done so to concentrate on her portfolio areas). Consequently I was very pleased to see the above post. I believe that people become MPs because, apart from their desire to enter politics and serve the country, it is the people behind them, the party members, who do the hard yakka to get that MP into parliament. If you do not recognise those who help you and feed back to them then the relationships you develop during the campaign will not exist for the following campaign. I personally think that DC will have learnt a lot over the last year and that experience of learning on the job is irreplaceable. It took Helen Clark & co 6 years to win the Treasury Benches after she became leader and she had some big hurdles and an election loss. It took her time to build her relationships as leader and with NZ. 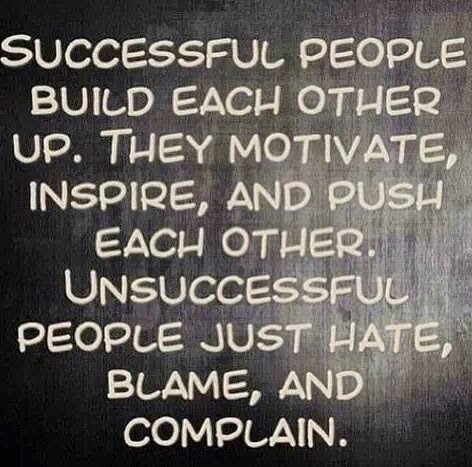 This stuff doesn't happen overnight. One of the reasons I joined Labour was the ability of the membership to have a say in who leads the party. So I'm pleased that DC and Grant are honouring the process set down by the party rules. But after that process is over, the factions need to dissolve and the backstabbing needs to end. And not just in caucus. I've been appalled to see it in the organisation/backroom side of the party too. And what is worse is that it is incredibly obvious, so obvious that people like Patrick Gower and Mike Hosking and Duncan Garner and Paul Henry have had a feeding frenzy on it. The caustic culture of factions and backstabbing throughout the party must cease. That's why we lost. I then re-posted this to my own Facebook status, because I am tired of the factions destabilising Labour and undermining the hard work put in by the party members and supporters. 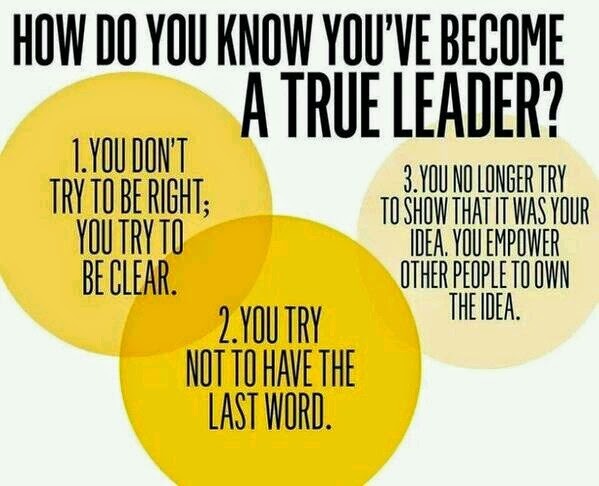 Now I believe that David Cunliffe did some of the above (did he read my blog per chance?) such as doing some great sound bites for the 6 o'çlock news, keeping his enemies close (he kept all the leading stirrers in his top 10), getting manygreat policies out there (especially in education, health, housing and the economy), there was better targeting of National stuff ups and some stern debate in the House by David and others (some delegated to various members of caucus, like Hipkins going after Parata and Robertson on Collins), David and been very visible in the public eye at many events of great variety in the last year.... and I saw David take command in the pre-election debates with John Key. Yes, there were some stuff ups to, like the anonymous donations to a trust and not being able to fully articulate the Capital Gains Tax details (have you seen the Labour 2014 manifesto? It's so big! ), but that is part of learning. John Key has many brain fades and "forgets" far too many things to make me comfortable at the end of the day, yet his caucus is NOT publicly mauling him for his failings, and the media is so busy focused on David's minor stuff ups they are not taking Key to task on his stuff ups. Then there were the media beat ups like the letter David Cunliffe wrote for Donghua Liu in 2003 (do you remember every letter/correspondence you wrote in 2003? ), the "apology" at the Women's Refuge symposium (at which Paula Bennett spent the whole time others were speaking playing on her phone) and various other minor incidents during which the media called for Cunliffe to resign. Which other leader of a political party has had so many media commentators calling on them to resign in one year? When you think about all the stuff ups John Key has made and have so far been revealed, why isn't he on a permanent holiday in Hawaii right now? Quite frankly, who would want to be the leader of the Labour party right now knowing that you would be constantly harassed and vilified by the New Zealand media on a daily basis? And why is this happening? Well it is obvious that some MPs have not been loyal, and I have to conclude that some party members at various levels and possibly some staffers have also not been loyal. 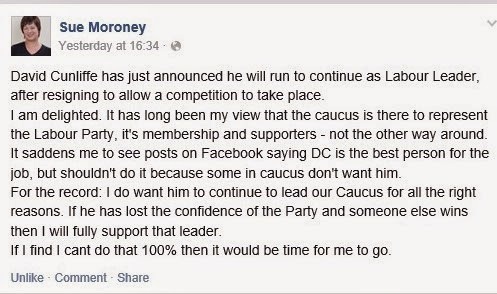 I said above from my post last year that the new leader would have to unite the party and stop the squabbling. Well clearly that was one area in which David Cunliffe has not made much progress. But I believe he can not shoulder all the blame. The party president, Moira Coatsworth, and the Labour Council should be held responsible for this as well. They have the ability to censure MPs and could have ensured some were turfed out of contention as electorate candidate for unsavoury behaviour (why do you think 15 MPs 'retired' from National this year?). But we did not see this happening. Each MP should also be aware of the party rules and be conscious of the fact that leaky ships do not reach their destinations. With my own eyes this year I have seen some of the behind the scenes at electorate and regional level of the Labour party. The jockeying and attempted deal making and backstabbing has left a sour taste in my mouth. Some candidates were caustic and juvenile in their dealings with certain sectors of the party which meant that some sectors were then very non-supportive of those candidates and sometimes this spilled out into the public arena. Some potential candidates were treated poorly, and others behaved like spoiled brats when they did not get what they wanted. We are all human and we will make mistakes in the heat of the moment, but it is how you behave and present yourself after the fact that makes a difference. And some people did not present themselves in the best light at all. So, when there is a disconnect between caucus and membership, there really is only one solution. Caucus must abide by the wishes of the membership in good faith. That’s a pretty reasonable request, especially given the membership are the ones who put in so much work on the ground to run campaigns and to keep the Party machinery going, as well as providing significant financial support through fundraising and personal donations. Caucus members who are unwilling to respect the vote of the membership should seriously reconsider their positions within the Party and as MPs. For those who are electorate MPs, if they think their electorates voted them in regardless of their being a Labour candidate, let them test that theory by running as an independent in a by-election. Because frankly, if they are not willing to work positively with the elected leader, then they are a liability to the Party. 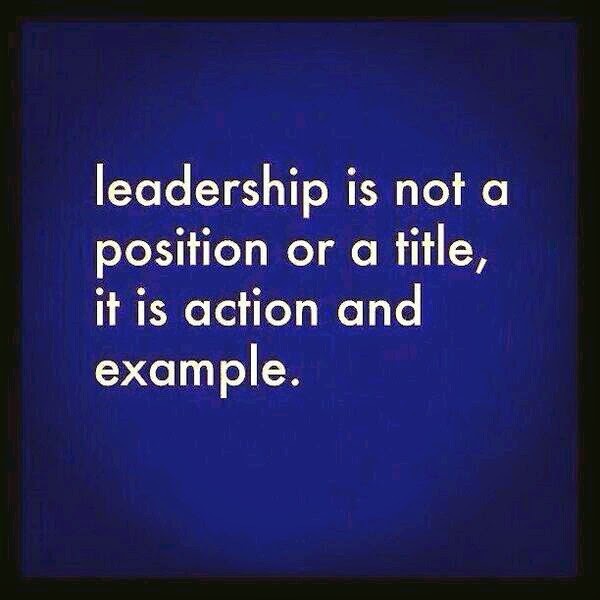 The same applies to those in elected positions within the Party hierarchy. If they aren’t prepared to support the elected leader, then it’s time to step aside. The Party needs a governing council that is prepared to back its leader and to discipline MPs who have failed to act in the best interests of the Party, particularly those who openly or through leaks, use the media to damage the leadership. I think Anjum has summed up the feeling of the membership when she wrote this post on Saturday. Kiaora Anjum for writing a piece so thoughtful and succinct. It is time for the Labour Party to meet the standard when it comes to leadership and following the wishes of the membership. Failure to meet that standard will mean another devastating loss to National in 2017, and that would be catastrophic for too many people. 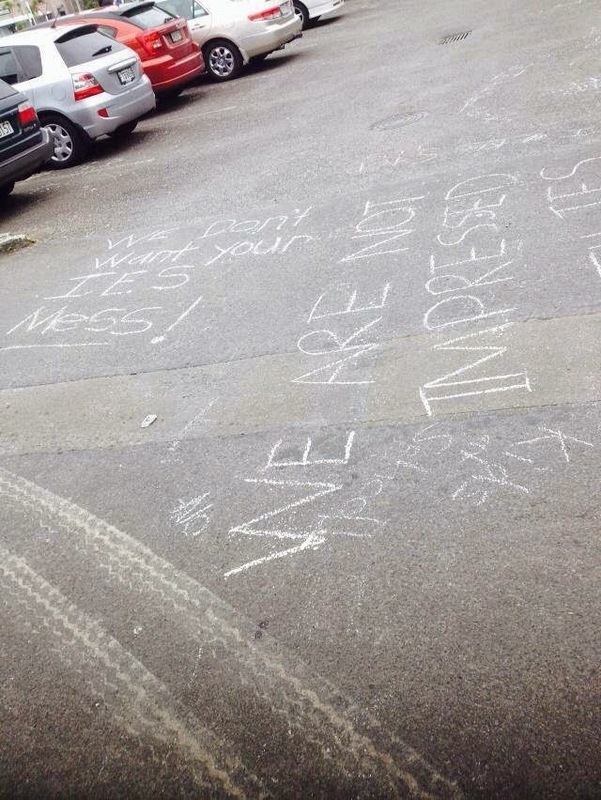 Dear Hekia Parata, diddums about the chalk in your car park, but $359 million could be spent so much better. These two pictures came through my Facebook timeline over the last ten hours. 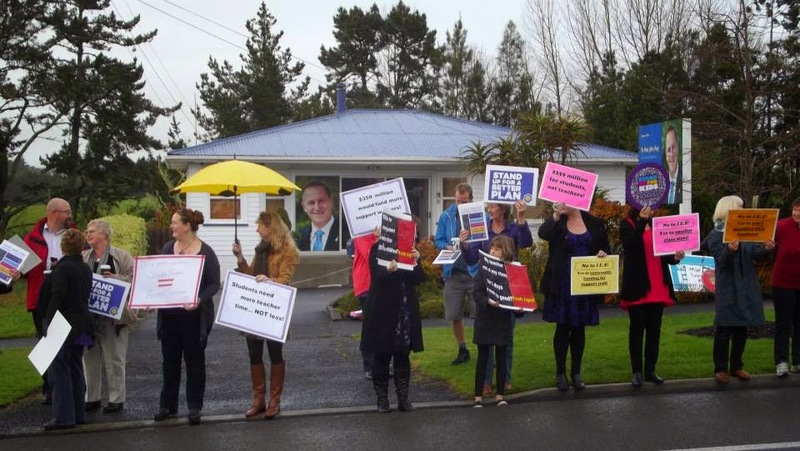 They were posted by Hekia Parata, the Minister of Education, herself, condemning primary teachers and principals for defacing public property with.... CHALK!!! Gee those teachers were bad arsed!! But if you went to her page and checked out the comments you would be shocked. Apparently teachers should be arrested for doing such a thing! Trevor Mallard's Hutt South office. With Tracy Martin of New Zealand First - some did a 1.5 hour round trip to meet with Tracy. Phil Twyford of Te Atatu. Mark Mitchell's office in Rodney. 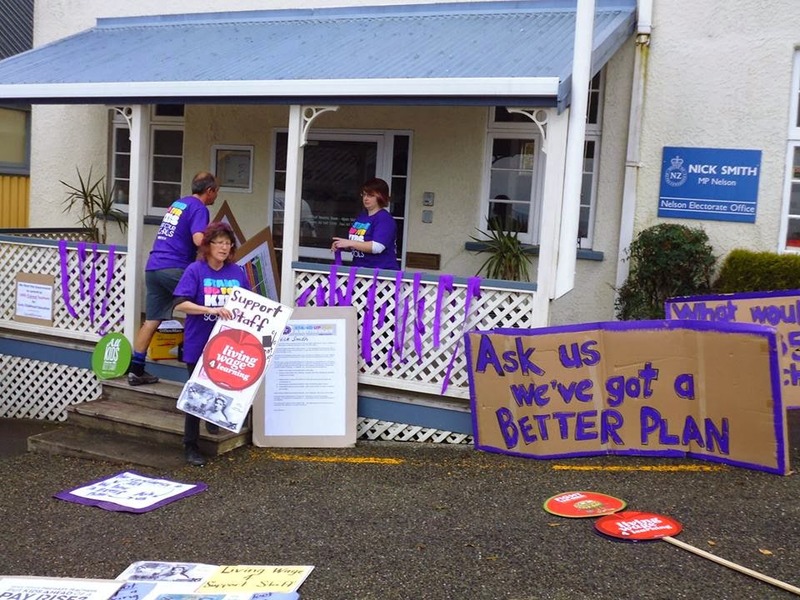 Nick Smith's office in Nelson. 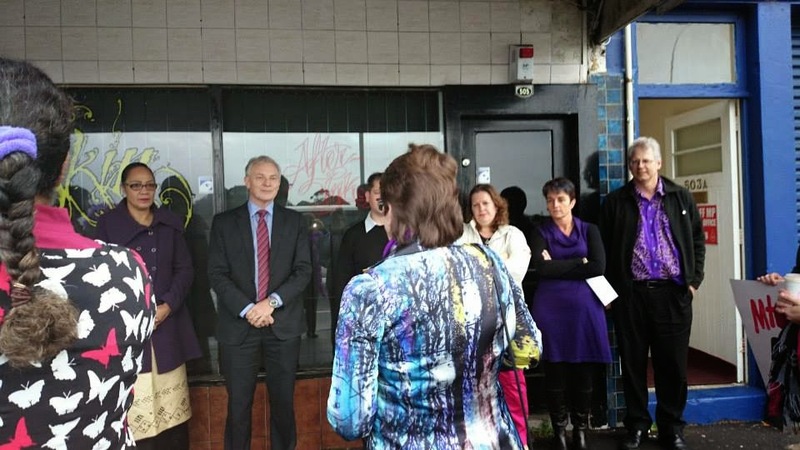 Phil Goff in Mt Roskill listening to NZEI. 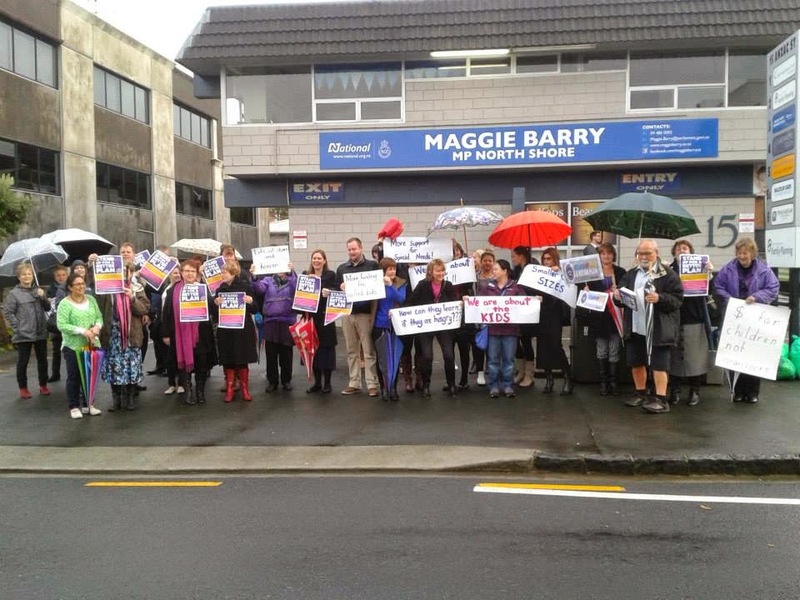 Maggie Barry's North Shore office. 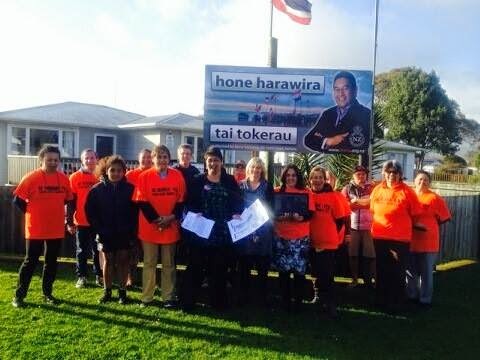 Hone Harawira was also delivered a message for Internet Mana to consider. Anyway, I was so incensed by Hekia being offended by a little chalk that I wrote this wee posting on one of her photos. I wonder if she will read it. If you really want to make a difference in the lives of our children, in their learning outcomes, then I urge you to listen and work with our primary sector to make meaningful progress. You want me to be a more effective teacher? Then give me the support (teacher aides and specialists) to support the children with special needs in my class - and for more than an hour a day, because anyone one of those three kids can spin out for no apparent reason at any point in time. The biggest things that stop me from being the best teacher I can be are managing the erratic behaviour of the above kids, paperwork that doesn't benefit my kids and lack of support for kids who should be getting special ed funding. That is why I support the assertion by NZEI that the $359 million for IES would be better off spent directly on the students themselves. Currently we have a group of students alienated from our education system due to the fact that their behaviour and/or learning styles are not being catered for at secondary level and they end up being excluded. I heard a mother speak about her son in Hamilton at your PAI meeting and your response was appalling. Schools work blimmin' hard to keep these kids in, but they are not financially resourced to put into place personnel to support these kids without MOE funding. GSE is so understaffed now that a school is lucky if they see anyone or get a case worker appointed. The system does not work for these kids no matter how great the quality of the teachers involved are or the decisions the BOT makes. And the reason many of these kids get excluded is because they become a safety risk for the other kids and teachers because they have not been catered for due to the previously mentioned reasons. I have a friend who has been in the same situation with her son. He lasted 8 weeks in year 9 at College this year. I know how hard the DP and HOD of learning support there worked to keep that boy in school. They were lucky to get support for him, but it was not enough - the wrap around service didn't go all the way round. That boy is intelligent but his conduct issues do not suit main stream schooling. In his rural town what are his schooling options now he is 14 and been out of school for two terms? What does his future hold: a lifetime of being a productive member of society or one of being a drain on society? What would cost less in the long run: giving this boy a true wrap around service or the cost of possibly a life involving benefits and jail? I'm sick of seeing kids who clearly need help that I'm not skilled in, such as speech language therapy, turned down for help because they don't meet a threshold or there's no funding or a lack of staff to take them on. By denying those kids help you condemn them to a life of struggle in their education journey and limit their options for further study and work when they leave school. You also end up taking away from the rest of the class because I spend more time working with that child who did not get the speech language therapy they needed and now have ongoing learning issues. It's election year. There are election hoardings competing for space on every fence and scrap of green grass facing a busy thoroughfare. There are politicians up and down the country door knocking, pressing the flesh and kissing babies. And the television debates have started. Different groups are also holding meet the candidate breakfasts, lunches and evening meetings. All the speakers were wonderful participants, and you can read the Storify below to see how the night went. Sadly Tim McIndoe was not present and no representatives attended from New Zealand First, ACT or the Mäori Party. Below is a Storify of the tweets I sent out and received that night and after reflection the next morning. There is also some commentary I have put in to round out the night. Read the policies of the parties different parties, including National (who has released stuff all policy so far) and ACT and the Conservatives (who have scary ideas about education!). 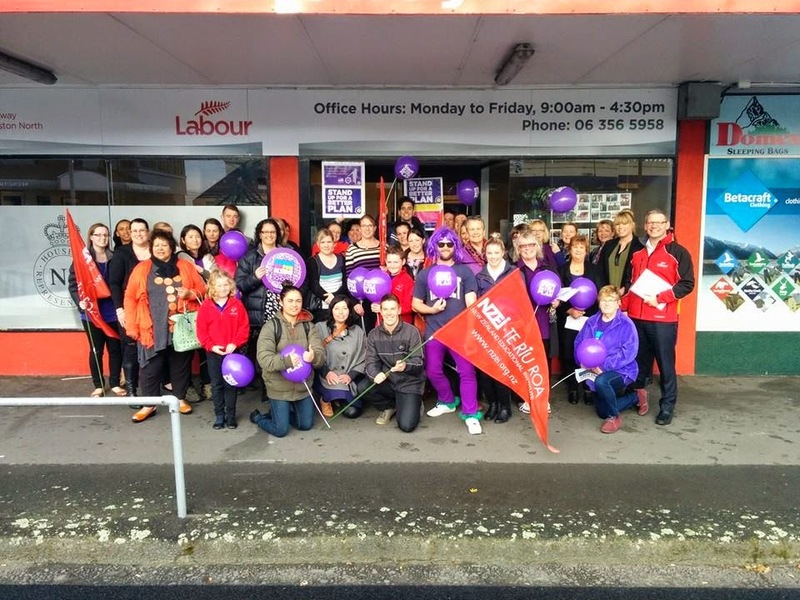 Most NZEI branches are organising meet the candidates nights, so are many other groups. So find one and go to it. Find out where/how you can meet your candidates. Follow them on fb and/or Twitter. Read their blogs. Go to the party websites and read the policies. Follow their blogs, fb pages and Twitter feeds. Labour even has an Instagram account now. Don't rely on the media to tell you what each party stands for. All you'll get is John Key & co telling you that everyone else is wrong and the personality sideshow of Colin Craig & Dotcom. So dig a little deeper. I have published this blog much later than I intended. This was due to a lot of events happening including a busy time at school and moving house. Thanks for reading anyway, and I hope it was helpful.